Tyson Fury outside The Withy Trees pub, Fulwood, Preston with fan Leigh Hoyle. Boxing World heavyweight Champion Tyson Fury paid a visit to his Preston fans last night as he popped into a Preston pub. 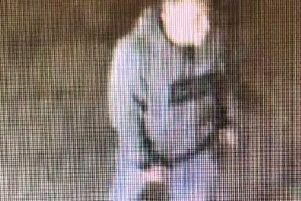 The 6ft 9in 28-year-old from Morecambe was pictured in the Withy Trees Pub in Fulwood. Fury has been all over the front and back pages of newspapers around the world after revealing he was taking cocaine to help him deal with depression. He also claimed to have retired from boxing on Monday before retracting the comment three hours later. But joint manager of the pub Ally Adams said he there for some time out of the spotlight. “He just came in with his dad and brothers for a quiet meal, a few half pints of Pepsi and a few games of darts and pool,” she said. MMA fighter Dec 'The Bandit' Larkin in The Withy Trees Pub, Fulwood Preston with managers Andy Simpson and Ally Adams. “At about 4pm he came in and said he just wanted to get away from the paparazzi and was very relaxed and friendly with everyone. The boxing champion even signed a Withy Trees festival t-shirt writing: “To all at the Withy Trees best wishes Tyson 2fst Fury AKA Mr Sniff x x x x”. In an interview with Rolling Stone magazine he recently admitted “I’ve done lots of cocaine”. He also admitted to drinking daily and getting “as fat as a pig” alongside snorting the Class A drug. “We’d only been watching him on the news the day before so we couldn’t believe it when he came in and had to duck under the door,” Ally said. And the pub was something of a celebrity hotspot yesterday with Irish cage fighter Dec ‘The Bandit’ Larkin also popping in for a drink. Larkin is an professional Mixed Martial Arts (MMA) cage fighter, ranked eighth in the UK. The fighter posed for a picture with Ally and joint manger Andy Simpson with another signed Withy Trees festival t-shirt.